Finding a qualified arborist for tree removal in Brisbane on the cheap can be a challenging. The arbor industry is highly unregulated and thus, you have an increased chance of hiring inexperienced companies that are not up to the job. To ensure that you find an arborist that you can trust, we created Go Tree Quotes. We have a curated list of local tree surgeons offering cheap tree removal all over Brisbane and Queensland. They are all qualified, insured and have been rated by previous users as the best by far. All you need to do is let us know the kind of job you have (removal or prune), the location of the tree or trees and we’ll put you in touch with the 3 best companies local to you. Arborists are specialized tree care professionals. Such professionals have more to offer than just pruning or removing trees. While studying Arboriculture through MySkills They know all the ropes related to cultivation and how to diagnose pests and diseases. Furthermore, they also work with the city councils, sharing information about a plant species and treatments that might be required. They have the experience, manpower, and the tools required to remove trees while not risking damage to your house or property. 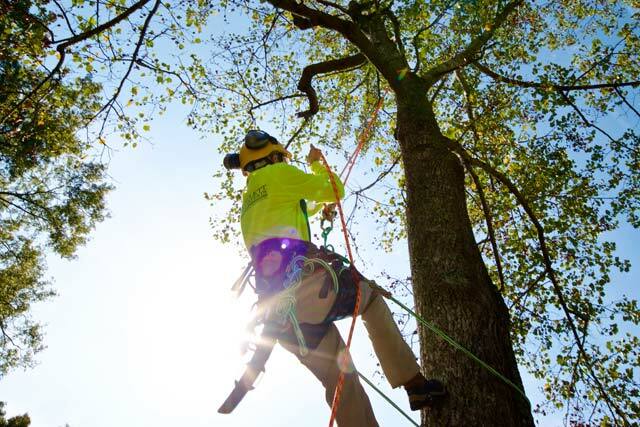 Certified arborist in Brisbane North and Southside are qualified and capable of working in residential as well as council lands if the correct permits are given. These professionals are not just tree loppers wielding a chainsaw, they are highly educated in arboriculture (a subset of Horticulture) and are trained in Australian Standards for safety and the pruning/ removal of amenity trees in Brisbane. With Go Tree Quotes, we make it easier for you to find a trustworthy tree removal expert in Brisbane and nearby areas. The cost of tree removal in Brisbane varies greatly depending on a range of factors. The average price for tree removal in Brisbane is $980. The rage of price though can be anywhere from $250 up to $4500. Tree removal really is a specialised job and the best way to know how much it costs to cut a tree down is to get a price from local tree services. They can properly assess your specific tree and come up with their best price for you. Don’t forget to ask a minimum of 3 different companies for a price. Before you can remove a tree in Brisbane, you need to be sure you can do so legally. There are several councils in Brisbane who each have their own Tree Preservation Order TPO which outlines the specific rules for that council. For more information on tree removal rules by councils in Brisbane, please check out the above summaries as they pertain to your tree. Go Tree Quotes ensures that every arborist in Brisbane we recommend is a qualified professional. We make use of previous customer reviews and recommendations to ensure that our list remains up-to-date and top notch when it comes to high-quality local tree service providers. Furthermore, we also ensure that the mentioned arborists are experts in tree removal Brisbane and are willing to work for you at competitive rates for discounted tree extraction all over north and south Brisbane. Interested in using the Go Tree Quotes’ list? 1. Let us know about the type of job you want to be done. This includes the approximate size of the tree you want to be removed as well as a short description of the kind of work that needs to be done. 2. We’ll forward all of the details to the best three arborist service providers in your area. 3. 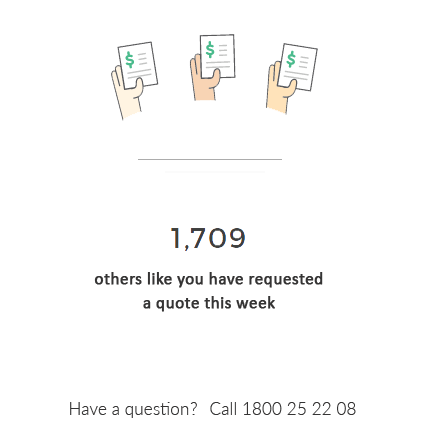 After going over the details, they’ll contact you with their price for the job. 4. You can go ahead and select the arborist you want to work with depending on your budget. Go Tree Quotes prides itself on being a service provider of helpful information regarding the best tree Surgeons in Queensland. We will help get you in contact with an arborist that’s the right on for you. Feel free to call us at 1800 25 22 08 to talk to our team of professionals. I had my tree lopped by a contractor recommended by Go Tree Quotes. He was very nice and very fairly priced. I would recommend this service!